Island Sailors in the Maldives is a ship and yacht agent and has been operating since 2001. They provide agency services, formalities, permits, fuel, provisions, spare parts, garbage collection, crew and guest travel assistance, flight charters and and much more. An invaluable point of contact for your visit to the Maldives. Below they recommend their favourite destinations and hotels for some true Maldives luxury. 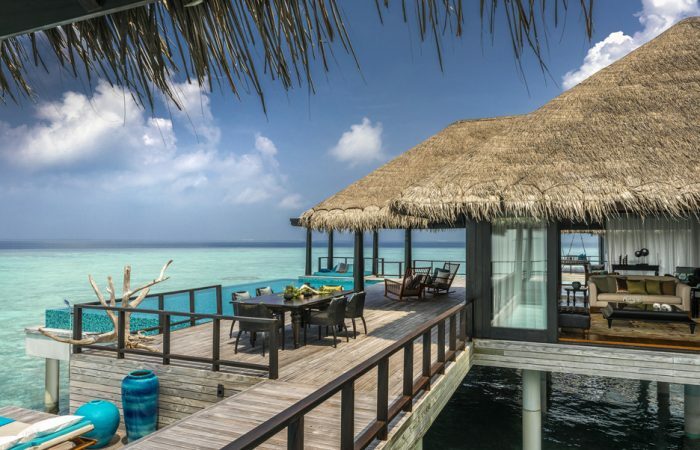 Located on the Baa Atoll in a UNESCO Biosphere Reserve, Anantara Kihavah Maldives Villas invites you to imagine your own paradise. Snorkel with Mantas and Hawksbill sea turtles. Stargaze into the night. 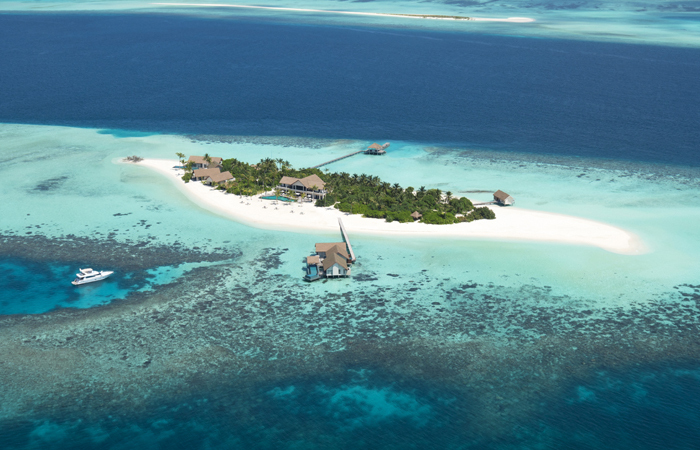 Dine on a deserted sandbank or beneath the ocean’s surface. A unique spot to experience the Maldives for a sunset and into the night where they have underwater restaurants and an unique observatory to star gaze. SKY at Anantara Kihavah, is the Maldives’ only observatory and with the most powerful telescope in the region with a 16 inch meade LX200 telescope mounted on a super-giant field tripod to make your experience unique. With the Maldives lying on the equator this is the perfect stargazing location to see the northern and southern hemisphere’s stars. Located on South Ari Atoll, the Conrad Island Resort will be the only Maldives luxury hotel with an underwater bungalow. All preparations are taking place to open late this year. You will be able to experience a relaxing and unique living experience 16.4 feet below sea level. Just another great experience of life to add into your cruising visit to this incredible region. Located on the Gaafu Dhaalu Atoll, the Outrigger Konotta Resort rests within crystal waters and offers you complete privacy and intimate luxury. 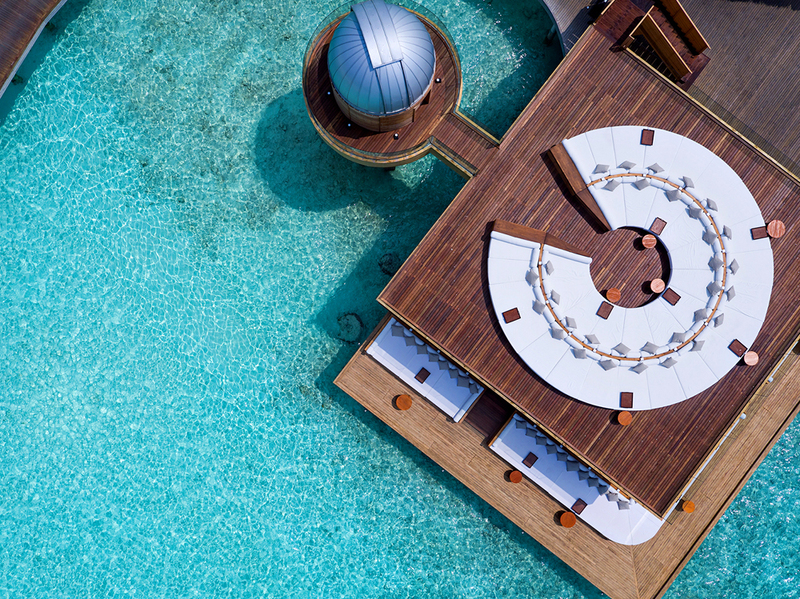 In this sanctuary of exquisite over-water bungalows, you’ll encounter innovative Maldivian cuisine, the rejuvenating Navasana Spa, and the Grand Konotta Villa. This luxury resort is a one-of-a-kind destination for complete relaxation and seclusion. 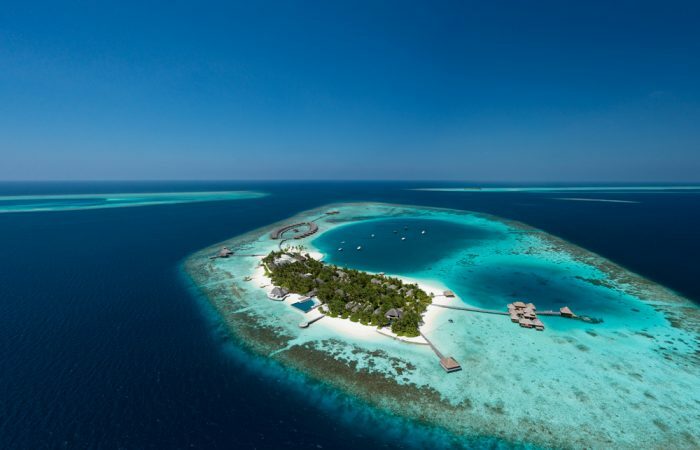 Located on North Male Atoll, this legendary Maldivian luxury resort is poised to emerge from its dramatic year-long transformation this September. Renovated, refreshed, with its verve and vivacity renewed the resort’s legendary spa has been transformed and re-sculpted as the Huvafen Spa. The famed underwater treatment area is reborn as PEARL, a unique treasure for wellness connoisseurs seeking a deeper experience, literally. On the Baa Atoll, just imagine retreating to a remote, natural wilderness where no one is watching and anything is possible. On Voavah, the exotic jungle greenery is flanked by immaculate, white beaches and crystal clear water, romantic, luxurious isolation – just for you. The seven-bedroom, private-island resort is the world’s first exclusive use UNESCO hideaway. Make it your private retreat, explore, connect or celebrate a special occasion. Dive into the crystal warm waters and swim with reef sharks, dive with mantas or float west into blissful oblivion as the sun sets over the Baa Atoll after yet another incredible day. Situated on the Lhaviyani Atoll, HuraWalhi was designed by the New York-based Japanese architect Yuji Yamazaki. 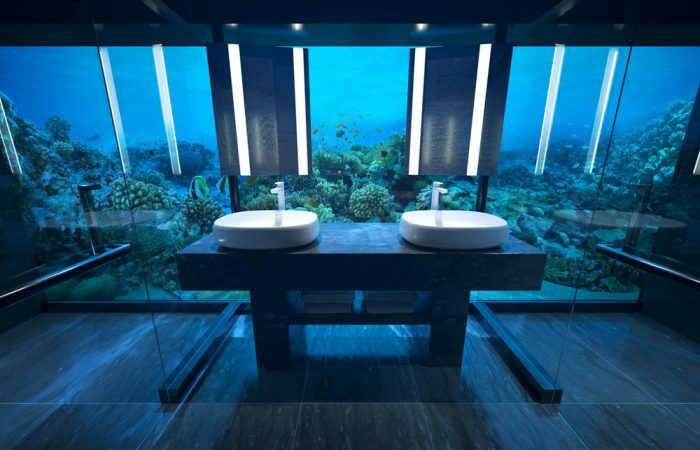 A unique resort recently opened with the world’s largest all-glass undersea restaurant. Unparalleled luxury, stunning stretches of white-sand beach to make Hurawalhi Island Resort the ultimate destination in which to create a lifetime of memories. Surrounded by a tranquil lagoon, a fantastic house reef and an outstanding spa that uses only organic products. All vessels above 120 GRT require pilotage. A vessel must obtain a cruise and harbour permit prior to arriving. To charter a vessel in the Maldives a charter licence has to be obtained by the Ministry of Tourism and it is issued for each charter followed by an Inter-Atoll-Travel-Permit (IATP) issued by the Maldives Customs Services based on the Charter Licence. Crew can however cruise in the Maldives with no charter permits, but with an IAPT. All crew and guests receive visas on arrival and can be extended for a maximum of 90 days. Vessels with armed guards must obtain a permit from the Ministry of Defence and National Security. This permit can only be applied for by a Local Coordinating Agent licenced by the Ministry of Defence and National Security. Without IMO registration, a vessel can stay for 180 days but with an IMO number it can stay in the Maldives for up to 270 days. All spare parts have to register as ship-spares-intransit which enables the goods to be declared on a duty-free basis. Helicopters should only fly with the permit and this can be obtained from the Maldives Civil Aviation Authorities. Garbage has to be disposed to the specific Island designated for all types of garbage also known as Thilafushi Island.